Crippling debt is a harsh reality faced by the SMEs of today – but it’s even more frustrating when you’re the one who’s owed money. A survey conducted by business credit card alternative provider Liberis, asked 400 UK SMEs about the effects of aged debt, and found that UK SMEs are currently chasing £14.9 billion in late payments from customers, an increase of £1 billion in the last six months. Late payment of invoices is evidently an ongoing battle for SMEs. How exactly can you reach your full potential if you haven’t got the funds to invest? However, not all the responsibility lies with the debtor. If your business doesn’t have a clear debt recovery process in place, then you should expect late payments. 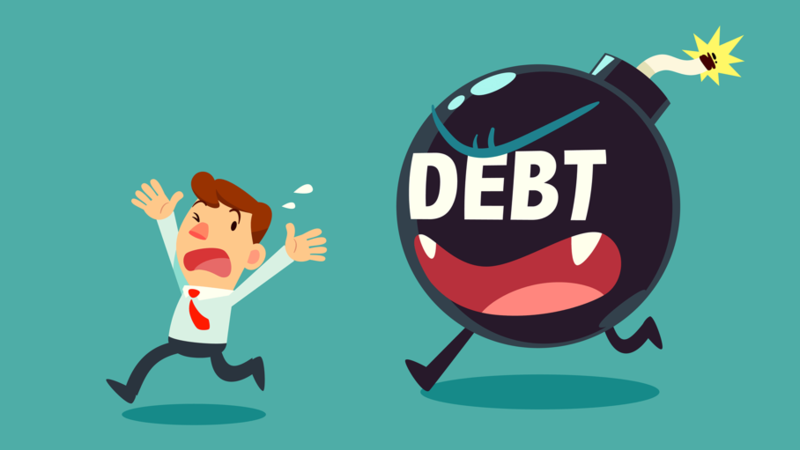 Whether you’re the one chasing or being chased for late payments, here are five things SMEs should know about aged debt. Growth is a shared goal for SMEs – whether it’s through opening more premises or introducing a new product/service, achieving growth is a sure way to provide a competitive advantage and increase your profitability. But when your business is owed money, growth becomes a struggle. Aside from preventing the business itself from growing, aged debt also has repercussions on external factors. If a business can’t expand, then new employment opportunities become virtually impossible. Although you might have an exact figure that’s owed to you, outstanding debt never stops costing a business. Think about all the resources you are using to chase these debts – employee time, legal fees, court costs, etc. When all these resources are added together, on average, it is costing each UK SME £5,000 per year in time spent trying to recover unpaid invoices, based on Liberis’ survey findings. Being owed money will inevitably affect any business’ cash flow. According to the survey, over a third of SMEs said aged debt is affecting their cash flow. This not only further delays any planned or desired expansion but is also affecting current resources, such as employee wages. The issue of recovering aged debt is spurring 30% of SMEs to seek out other means of financing their business to cover cash flow issues. For example, seeking a business cash advance could be a short-term solution for filling a cash flow gap. However, being stricter with credit control will prevent unpaid bills from mounting up in the future. Although it is the customer’s responsibility to pay the money owed, businesses have the responsibility of ensuring a clear debt recovery process has been implemented. Being inconsistent with the debtors can make it easier for them to deny receiving notices from you, making it easier for them to avoid payment. Liberis’ survey found that 40% of respondents explained they don’t have a clear debt recovery process: it’s evident that many SMEs aren’t being consistent with their processes. This might seem obvious, but it can help avoid stalling tactics. If the customer claims they haven’t received the invoice, then send a paper/email copy and request them to acknowledge receipt. Ensure the customer is satisfied with the product or service, this will get you closer to obtaining the payment and also demonstrate commitment to your customers. If there is an issue with the product or service, resolve it immediately. For example, if the issue warrants a discount on the invoice, raise a credit note to remove the disputed amount and make sure the aged debtor report showcases your business’ financial position. This will save you from problems further down the line. A telephone call is better than an email or letter as it keeps the reminder friendly and informal. You can then follow up a phone call with an email or letter – be sure to attach a reminder of your bank details with a copy on the invoice. If your request for payment remains unanswered, keep a paper trail of your attempts to secure a payment; this will support your case if legal action is required. When negotiating a payment schedule with a debtor, make sure you inform them of specific payment dates and amounts. Avoid vague phrases such as ’end of the month’, ’sometime next week’ and ’around that date’. Specific payment amounts will help you to enforce the agreed terms and minimise delays and confusion. The usual payment terms for invoices is 30 days. It is your responsibility to stay on top of the claim once arrangements have been made with a debtor. Send emails and make phone calls to remind debtors of the agreed payment terms. Demonstrate that you are serious about recovering the outstanding monies. Part of the problem for SMEs trying to recover aged debt is their lack of awareness of the legal steps that can be taken. Being familiar with your options will help you to decide what’s best for your business if your debtors still aren’t paying. This is when an impartial person, who is trained in dealing with difficult situations between two parties, oversees a dispute. Although there can be a fee for mediation, it is considerably cheaper than hiring a solicitor and taking court action especially when the average hourly rate for a solicitor is £100 in the UK. You can find a mediation process online here to give you some background and get you started. If mediation is ineffective, you can make a court claim for your money. This can be done online through GOV.UK’s ‘Make a Money Claim’ portal if the money is less than £100,000 and owed by no more than two people or organisations. A statutory demand can be made by anyone who is owed money, you don’t need a lawyer. If the debt is over six years old you cannot make a statutory demand, in this instance it would be best to seek legal advice. When a company or individual (the debtor) receives the statutory demand, they have 21 days to either pay the debt or arrange an agreement to pay. However, the costs of enforcing bankruptcy and liquidation are extremely high so you risk potentially spending more on your legal fees than the debt you are chasing Seek legal advice before using this as a method of reclaiming an unpaid debt.